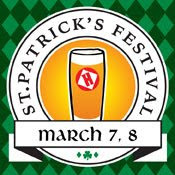 Live Irish music, local rock bands, food vendors, and of course beer - it should make for a fun-filled evening. Tickets are $15. Click (here) for more information as well as the band schedule. 0 Response to "Harpoon Brewry St Patricks Festival"